Every year, there’s one day in particular that the Basket team just cannot wait for. You might guess that we’re referring to our birthdays, or a company anniversary. But, if you read the title for this blog you’ll know exactly what we’re talking about: Mac and Cheese Day! Yes, July 14 is National Mac and Cheese Day. Every July 1 we begin a countdown for that magical day when we get to celebrate mac and cheese in all of it’s creamy, cheesy, gooey goodness. And, the day is finally here! To honor this comfort food classic, let’s take a little trip down memory lane. Pizza, pasta, wine – the Italians really do have all the good stuff. 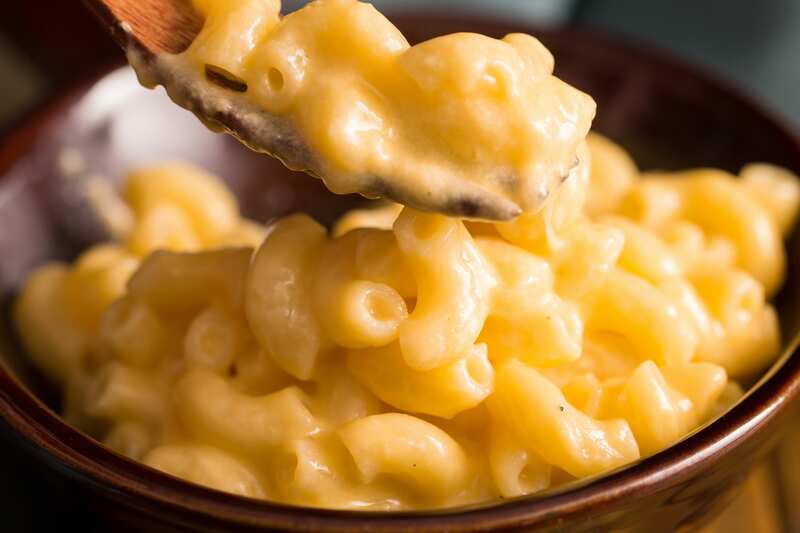 Macaroni and cheese exists in several different forms across the United States, from baked casseroles to stove-top deliciousness, yet we can all agree that traditional macaroni and cheese began in Italy. No, they were mostly likely not squeezing fluorescent orange powder onto their pasta noodles. But, simple pasta and cheese dates back thousands of years straight into good ol’ Italy. In fact, Italians were tossing pasta with scrumptious cheeses as far back as the 13th century. However, did you know that traditional Italian pasta as we know it might actually be a derivative of ancient Asian noodles? There’s a belief that explorer Marco Polo (yes, the one whose name you scream blindly in the pool) actually brought noodles to Italy from China. Which – speaking of China – makes a pretty unique mac and cheese themselves. Let’s dive into that! Mac and Cheese for… Breakfast? While we would eat mac and cheese for any meal, we were a bit surprised to learn that in China, mac and cheese is actually a breakfast dish. In Hong Kong, it’s common to doctor up macaroni and cheese with additional ingredients such as peas, ham, mushrooms, and eggs. We have to say – we’re intrigued! Imagine waking up in the morning and whipping up an omelette with elbow macaroni and creamy cheese, hunks of ham, and savory mushrooms… Yeah, we’re sold. But here in the states, our mac and cheese is as accessible as grabbing some off the shelf at our local supermarket. We wondered if it was always that easy, or what genius came out with that idea. And to that, we owe James Lewis Kraft. Admit it, we all know Kraft Macaroni & Cheese. We’ve seen the commercials, the print ads, and the bright blue boxes for years. While in 2018, macaroni and cheese in a box doesn’t seem too novel of a concept, 80 years ago? It was unheard of. Kraft Mac & Cheese was created in response to the Great Depression, when families struggled to make meals to feed their families. Kraft had the idea to attach packages of grated cheese into his boxes of macaroni – an idea that caught on like wildfire. As the hard times of World War II saw a rationing of milk and dairy, and meat was hitting shortages, easy to make meatless dishes like macaroni and cheese became increasingly popular. In 1937, James Lewis Kraft patented his method of processing cheese that gave Kraft Macaroni & Cheese its unique orange color, and has served as the signature trait of the product ever since. Today, Basket shows you where you can grab those blue boxes of yumminess – as well as all your other necessities – at the best prices near you. Bet you didn’t expect a history lesson from this blog post, did you? Well, it’s all just too intriguing not to share! After Kraft’s creation of his signature mac and cheese, we would like to think the world became a better, cheese-filled place. In 1993, Crayola even named their new crayon color “Macaroni and Cheese.” Perhaps the tastiest color yet, but hey, we might be a bit biased. Today, Kraft sells about 1 million boxes of their notorious mac and cheese per day. That’s one million boxes of the good stuff every 24 hours: wild. And, Americans aren’t the only ones grabbing for those blue boxes. Canadians are big fans of macaroni and cheese: so much so that it’s considered their national dish. Plus, in Canada, Kraft Mac & Cheese is the most purchased grocery item in the country. If all this information has done anything, it’s proved to us that we won’t be celebrating National Mac and Cheese Day alone this year. In fact, it looks like millions might be joining the party. Just be sure to download the free Basket app before heading out to buy your mac and cheese essentials – to make sure you’re paying the best price for your scrumptious dish.